North of West Ewell station looking towards London. The Down line from this point towards Stoneleigh has been lifted. A closer view of the work site. 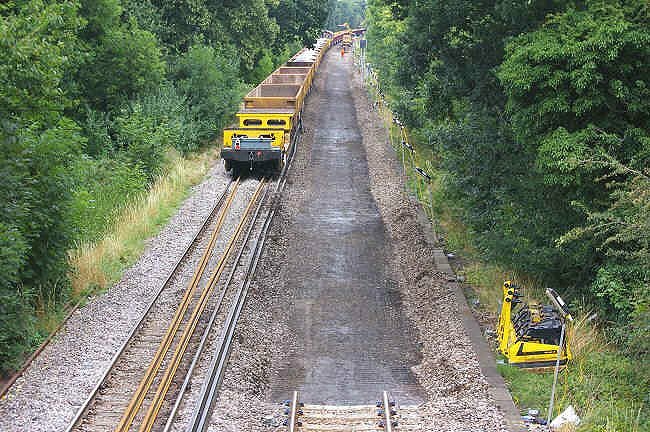 Before this photograph was taken the track panels had been loaded onto train 6N01 and taken away. 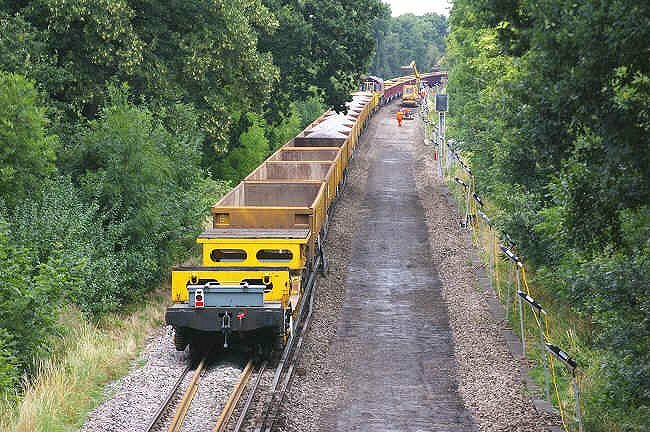 The old ballast was then removed and taken away by train 6N02. In this view there are two trains almost touching each other. 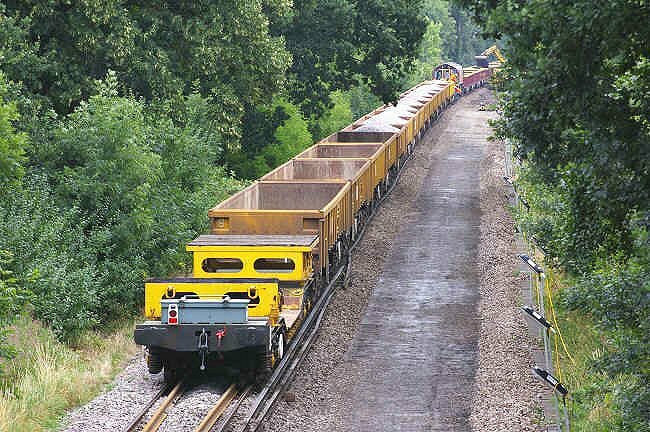 Fresh ballast is being unloaded in the distance from train 6N03. More ballast awaits unloading on train 6N04, which has locomotive 66102 at its head. The same scene but from a slightly different angle. This unusual looking privately owned wagon is CAIB 95625, TOPS code KWA. It is for transporting tracked vehicles, such as the digger that can be seen in the other views. 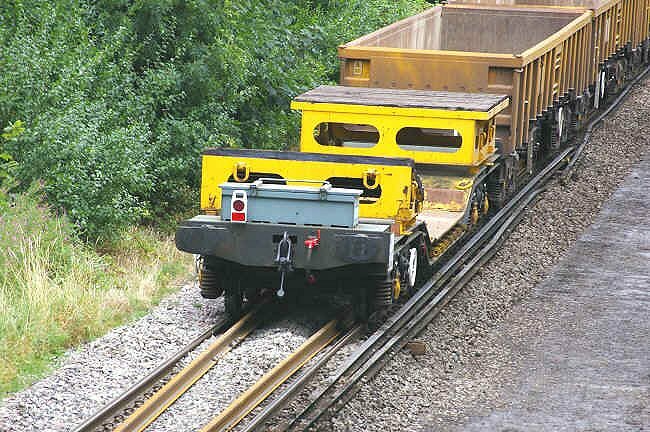 The machine would have arrived on the wagon and would have been turned through ninety degrees before being driven off.